Vertical pleats down the center front and back release to give this breezy cotton tunic an A-line shape. 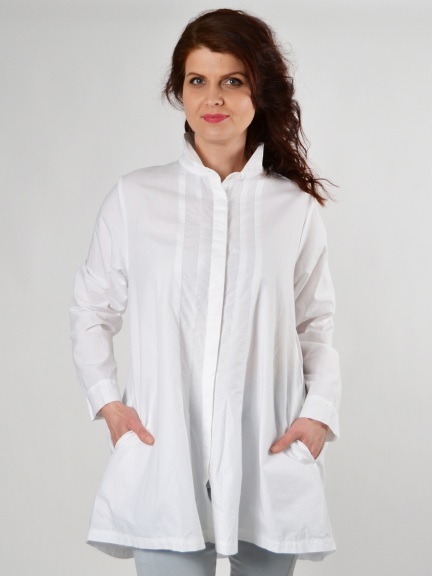 Features side-seam pockets and covered button placket. Sleeves are full-length.